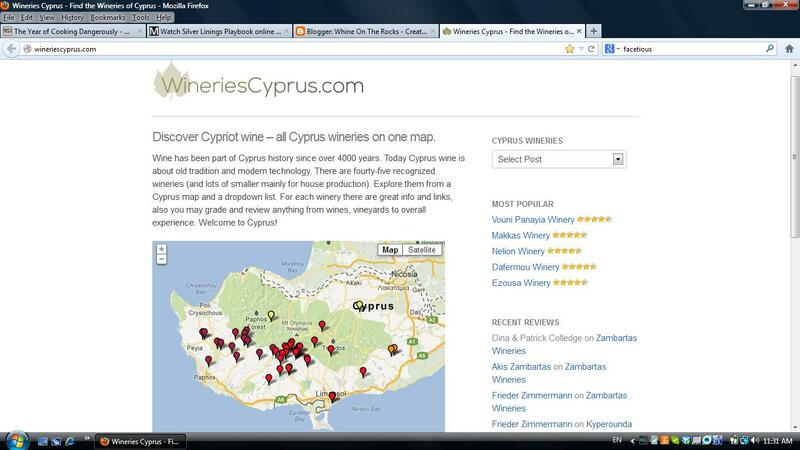 Here's WineriesCyprus.com, a cool little gadget developed by Elena Sophocleous Toth and designed by Robert Toth. 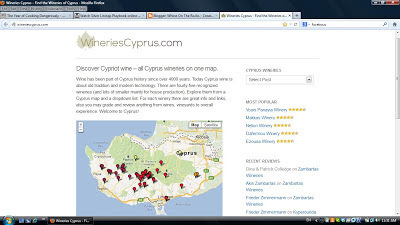 Basically, the website maps out all Cyprus wineries, includes contact information for each, and allows users to rate and comment on their favorite ones. I believe it's a handy tool to visually locate wineries across The Rock and could be very helpful when organizing wine tasting excursions. Kudos to the Toth Team!